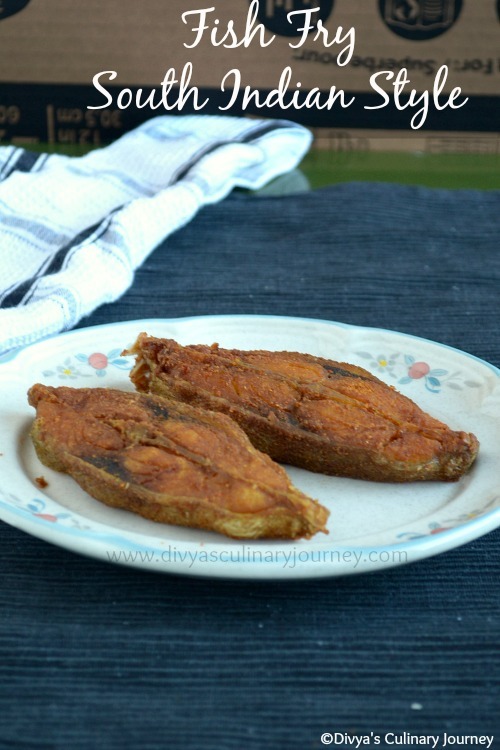 Today I am posting the recipe of simple and easy fish fry made in South Indian style. We call this as Poricha meen or Varutha meen or Meen Varuval in Tamil. I have used Pomfret fish / Vavval meen here. But other fishes like king fish(vanjiram), Mahi mahi, cat fish, salmon, tilapia, etc., can be used too. Fish is marinated in spices and are deep fried in Oil. How easy is that? One can never go wrong with this fried fish. It is so easy to make and tastes delicious. 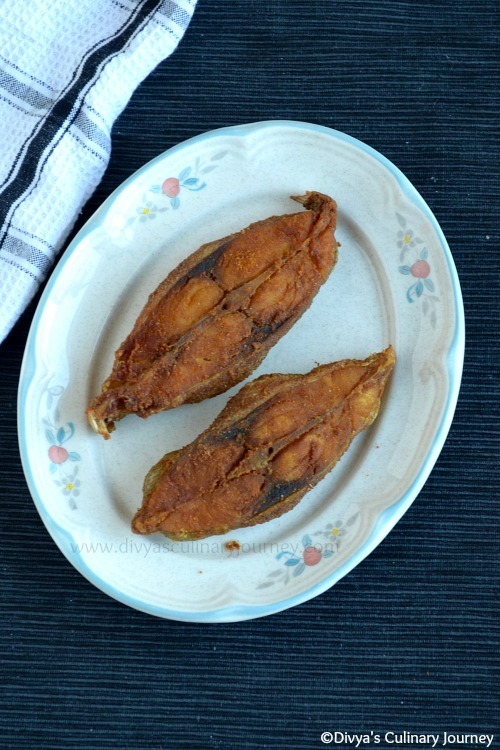 What are the ingredients required to make easy fish fry? How Fish fry is made? Wash and clean fish fillets. Pat them dry to remove extra moisture, if any. Then mix together turmeric powder, chilli powder, coriander powder, cumin powder, salt and apply to the cleaned fish and let it marinate for about 30 minutes. Heat oil in a skillet and deep fry the fish fillets one by one till it is golden or it is till it is done. Remove the fish, drain excess oil and serve it warm. For more extra flavor, a teaspoon of ginger garlic paste can be added to the fish. Adjust the spices according to your taste buds. If you are not a fan of deep frying, shallow fry the fish. 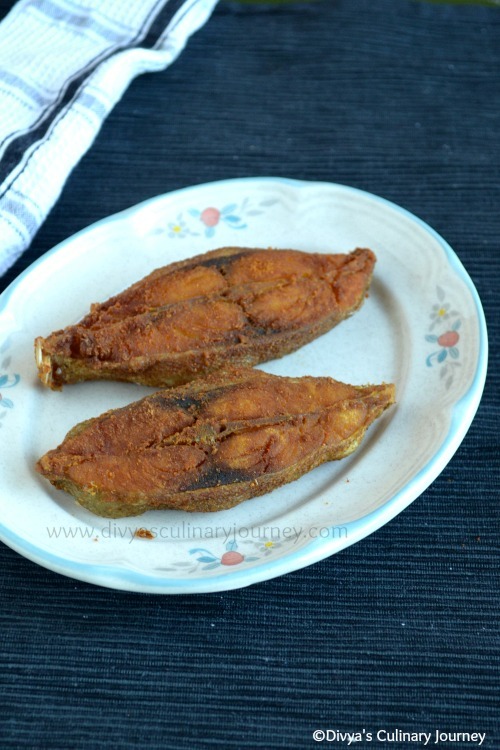 For more healthy version, do check the Baked Fish- Indian style. This pompret fried is the utmost fav of my other half. 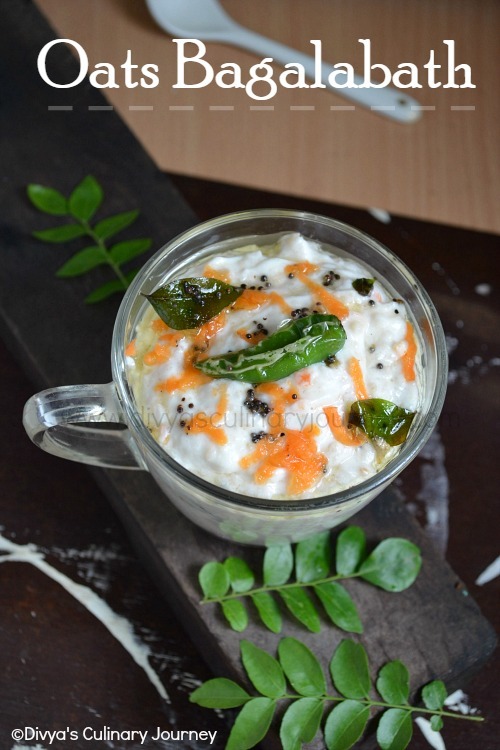 Its simple yet so good with rasam and rice. Mouth watering fish fry. love it. One of my favorites! Looks so inviting! !